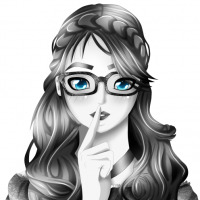 Have you ever experienced the frustration of accidentally closing a tab with something important in progress such as writing an e-mail or filling in a form? Now you can keep those tabs open as long as you need with PermaTabs Mod. 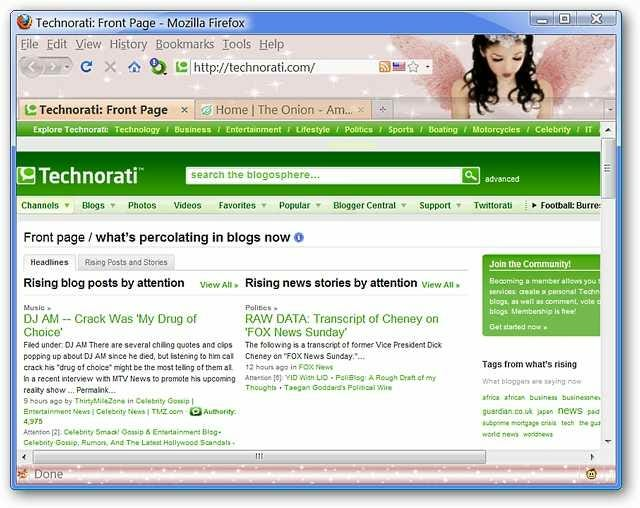 As soon as Firefox restarts after installing the extension, there will be some temporary sample permanent tabs displayed. The tabs will have an orange-tan color marking them as permanent tabs. As a demonstration, we checked to see if these two tabs would close using the normal methods. Clicking on the Close Buttons did not work and neither did using the Context Menu. Notice that there is a new PermaTabs listing in the Context Menu. If you do not want to keep these sample permanent tabs, click on “Permanent Tab” to deselect it and then you will be able to close them out. Note: Once these tabs are no longer PermaTabs, they will shift back to the default color that your other tabs have. Ok, so what about the options? 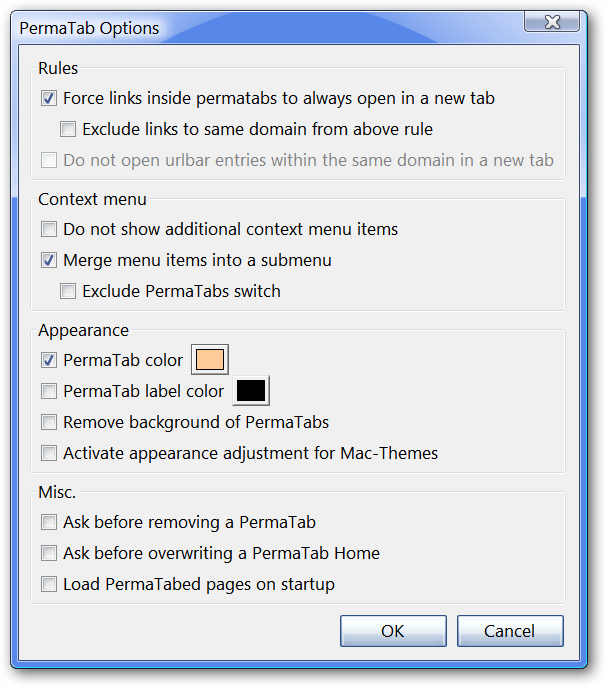 You can decide how links inside of PermaTabs will open, what is or is not included in the Context Menu, adjust aspects of PermaTab appearance, and choose to add some miscellaneous options in if desired. 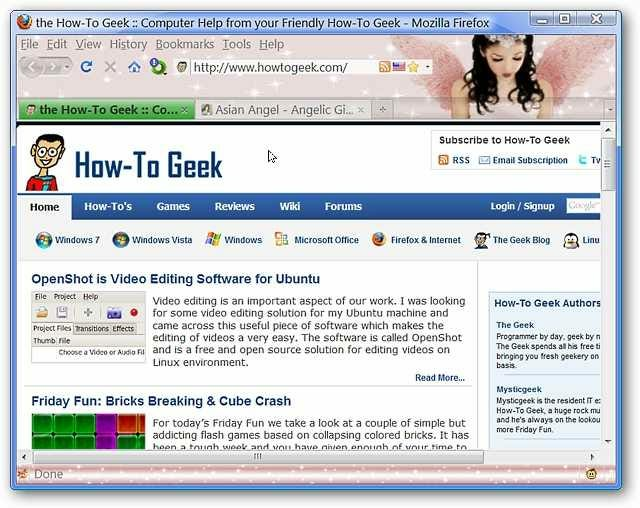 To test things out, we decided to make the How-To Geek homepage our first PermaTab. 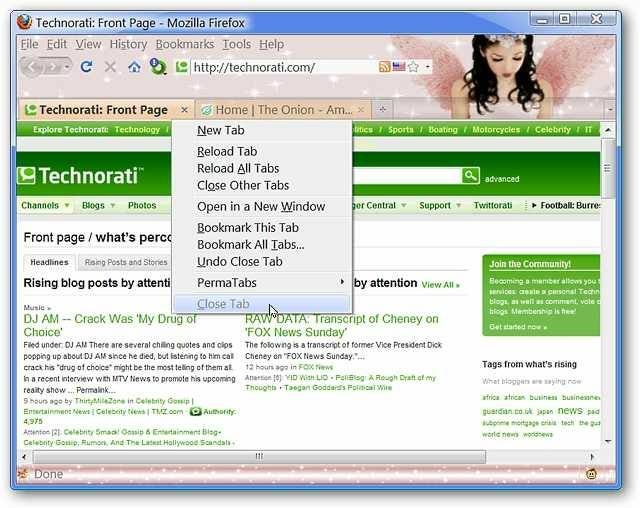 All that is required is accessing the Context Menu, selecting the “PermaTabs” listing, and clicking on “Permanent Tab”. Once we clicked on “Permanent Tab”, the tab color automatically changed to the green color that we chose in the options (very nice!). One permanent tab ready to go! 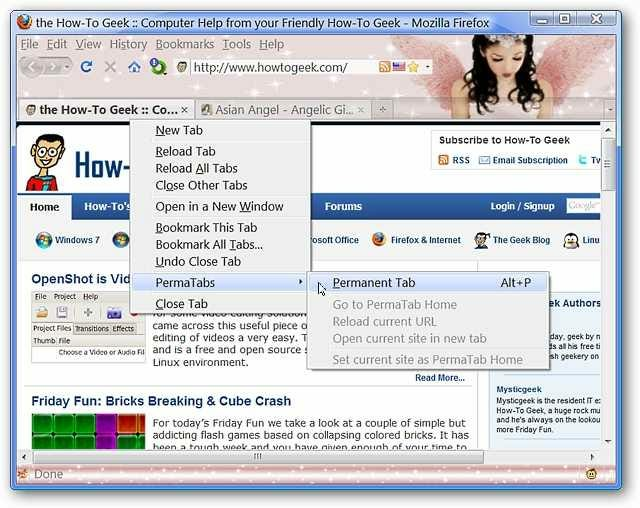 With PermaTabs Mod, you will never have to experience the frustration of accidentally closing an important e-mail or web-form tab again.